Q: Where is Canadian County located? 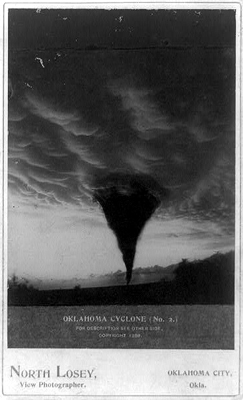 A: Canadian County is situated in central Oklahoma, within the Greater Oklahoma City metro area. The central hub of Candian County is the city of El Reno, located about twenty-five miles away from Oklahoma City’s downtown. The county is named for the South Canadian River that flows through most of Oklahoma. Q: What is special about Canadian County? A: The city of El Reno is home to one of the best Main Streets in America. It is the only city in the state of Oklahoma to have a streetcar operation through its downtown area. 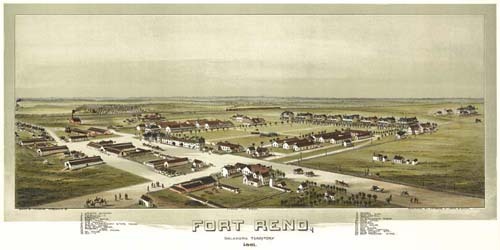 Built in the late 1800s, Fort Reno is now a research faciltiy to help preserve the great plains. El Reno also is well known for hosting the annual May event, Fried Onion Burger Day Festival. Q: What neighborhoods are in Canadian County? A: The town of Okarche is home to the oldest bar in Oklahoma. Piedmont is a small community that was established from claimed land of the Unassigned Land Run in the late 1800s. Storm chasers captured some of the first footage of a tornado in Union City. The Arapaho and Cheyenne Tribes are headquartered in Concho, Oklahoma. Q: What is there to do in Canadian County? A: The Chisholm Trail is a historical cattle route extending from Texas to Kansas, where they were sold and shipped east. Originally used by Native American Indians for hunting, the Chisholm Trail carried millions of cattle from South Texas, through Oklahoma and into Kansas. The trail is named in honor of Jesse Chisholm, a western Oklahoma trading post merchant. The city of Yukon is host to the Chisholm Trail Festival.